One particularly memorable punctuation is a page covered entirely by a bold, evocative illustration of a field of flowers; each blade of grass sprouts out of the ground in a thin, quick stroke of white emptiness against a solid black background, the clouds composed of thick blobs of ink that curl and lilt just perfectly. 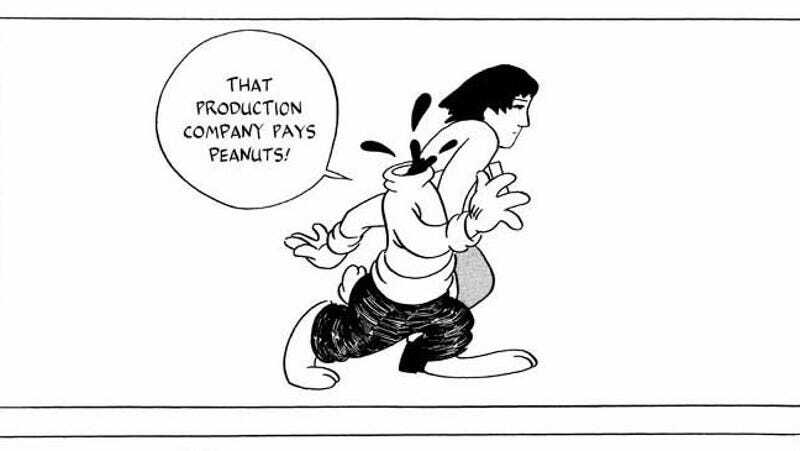 Readers already familiar with Hayashi’s work will know that the cartoonist resists clear or naturalistic storytelling, but his alienating affect is part of the appeal. 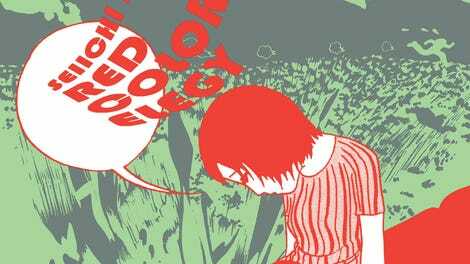 With a constantly evolving aesthetic, Hayashi’s pages bristle with a tension that attracts the eye even as it repels the part of the brain that has been trained to read comics. The effect is something attractive but elusive, which is difficult to sustain for more than 200 pages (no doubt why Hayashi worked primarily on shorter works). Fortunately, Red Colored Elegy represents one of the most successful works by one of the comics forms greatest practitioners, and its long-awaited reprint should be one of the year’s most exciting releases. Unfortunately, the very things that make Hayashi so exciting are also the things that make him unapproachable, and the book’s release will no doubt be met with a mere fraction of the interest it deserves.